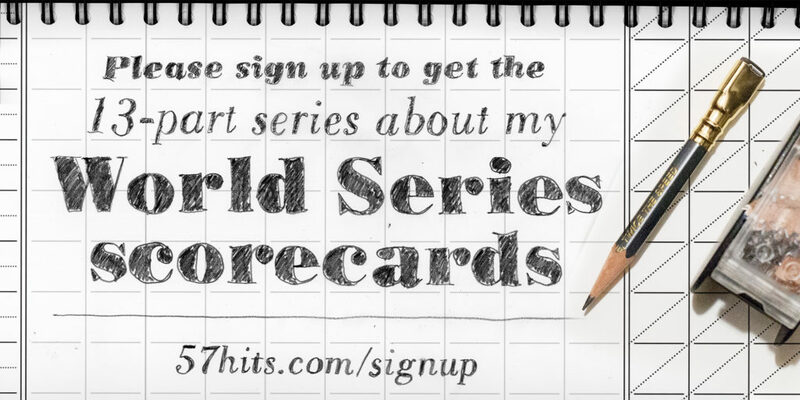 Take a baseball card, write a postal address on it and slap on a stamp. Will it mail? Inspiration struck me today to try mailing a baseball card like a postcard. A bunch of loose opened baseball packs are stuffed in my desk drawer at home. Shuffling through the cards, I tried to find one that wouldn’t get stolen when mailed. But the photo had to be kinda interesting. 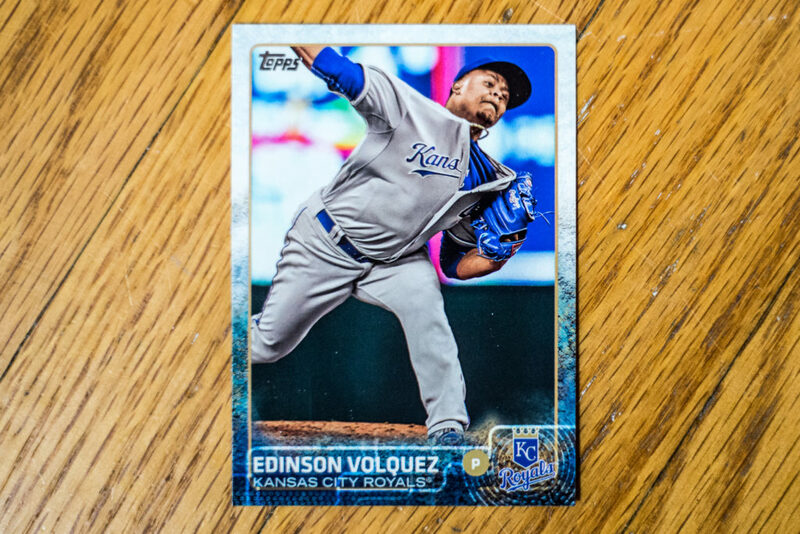 This Edinson Volquez card has a fun photo. Look at the effort that this guy has while pitching. He’s like, “OOOOOOF!” The effort this guy goes into pitching is like the effort that this card will have while going through the postal mail. This card won’t have to travel very far, since my brother lives in the next town to me. For the record, this card is: 2015 Topps Update #US175 – Edinson Volquez. It goes for $1.24 on comc.com. Go figure. I thought I was picking some common card. Man, this guy is REALLY good at leading the league in a different bad stat across a range of years. 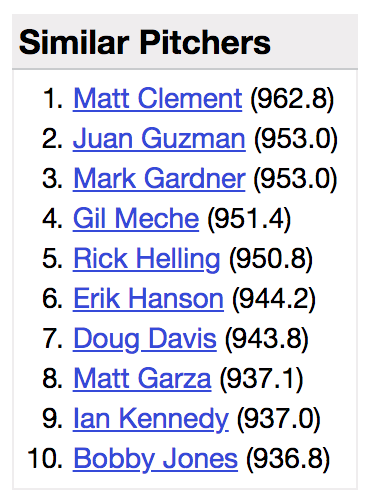 Baseball Reference lists the most similar pitcher is Matt Clement. 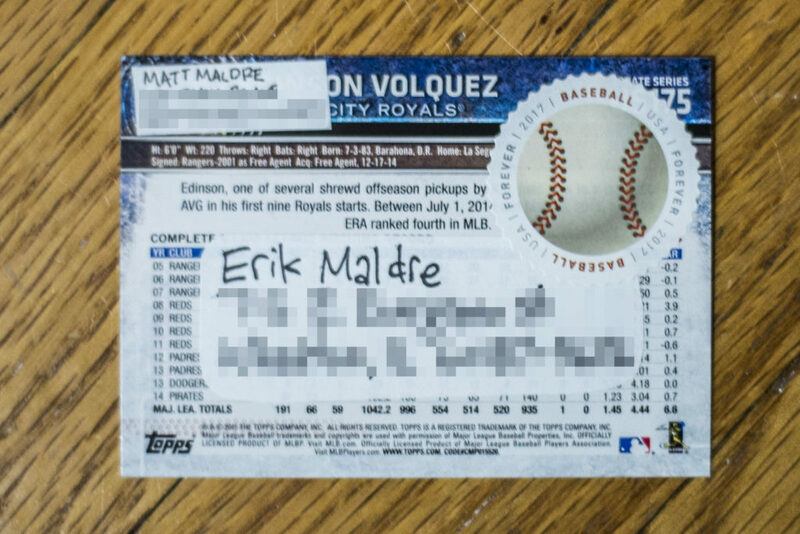 So will Edinson Volquez be able to travel through the postal system? The card is smaller than a postcard, so I stuck a full forever stamp on it. A baseball stamp, of course! Hopefully, the post office doesn’t get confused with the baseball stamp. According to comc.com, the lowest price that a 2015 Topps Update card goes for is $0.63. Out of 541 cards in the base set, there are 337 cards cheaper than this one. Maybe it’s the photo. People love the photo! That is below the USPS minimum size, but it might sneak through if the clerk is a baseball fan!